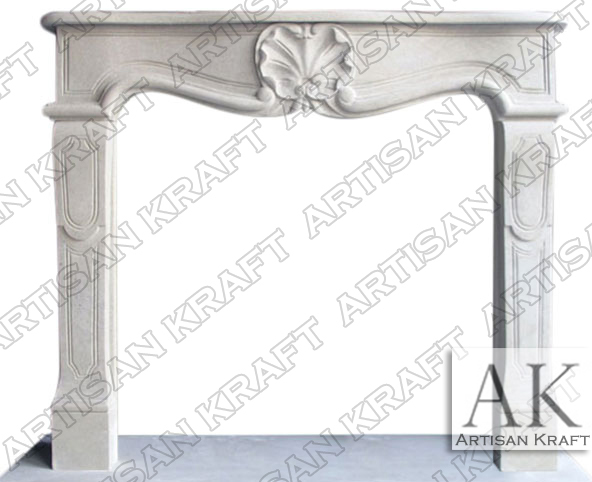 French Heritage is a European style fireplace mantel. Can be hand-carved from marble and other real stones. This particular surround is hand-carved from sandstone. Artisan Kraft offers the highest quality designs ranging from baroque to modern. All world traditions and modern innovation allow us to achieve the highest standards of quality in our products. Carved from beautiful slabs of real natural stone including but not limited to marble, limestone, travertine, and sandstone.